Pristine and clean. Compare this to any other condo priced under 300k. You will see why this is the best in the category. Lovely Longboat Arms community located in the southern part of Longboat Key in Sarasota County. This is a Corner end unit on the Penthouse (3rd floor) in an elevator building located closest to your beach access directly across Gulf of Mexico. New windows are in place. There is a lovely Bay view and Amenities are: Boat slips(available 1st come basis, $214 per year). Kayaking, tennis court, heated pool, Out door grills & community Clubhouse. Covered Parking and this value can’t be beat. Add it up and the Buyer will win on this one. 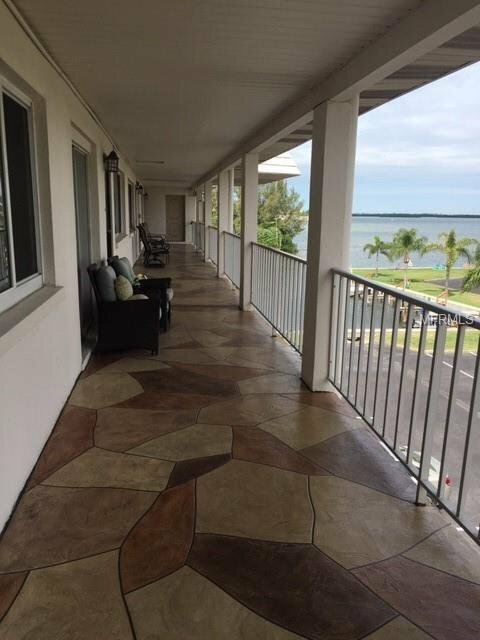 This Building was designed to enjoy the extra large space outside the unit to view the Bay and enjoy the lovely breezes. This unit was enjoyed by the original owners and now ready for the new. Sold as-is with right to inspect. Listing courtesy of MICHAEL SAUNDERS & COMPANY. Selling Office: MICHAEL SAUNDERS & COMPANY.